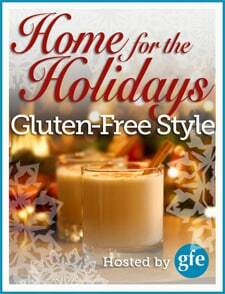 So we’ve passed the halfway point in our Home for the Holidays … Gluten-Free Style event, but don’t worry, we’re not on the downhill slide, we’re not letting up, we’re not coasting … no way, no how! Today’s host, Ricki (Diet, Dessert and Dogs), brings you Chocolate Mint Truffles. Truffles say holidays and festive celebrations to me. In fact one of my favorites in my collection of Christmas children’s books is Truffle’s Christmas. In that book, Truffle refers to an adorable little mouse, but let’s get back to the confectionary kind of truffles, shall we? Chocolate and mint are one of my favorite holiday combinations for sure! I’m not alone as peppermint bark is a huge seller and very popular recipe at Christmas time. I do love peppermint bark, but truffles take a similar combination of ingredients to a fabulous new level. Bite-sized, melt-in-your-mouth super special treats. I think you’ll agree that Ricki’s Chocolate Mint Truffles look incredible. What a lovely bonus that Ricki has made them free of so many ingredients that many of us can’t or choose not to eat! Oh, and you’ll also get an entertaining tale with your visit to Ricki’s, but that’s always the case, too. 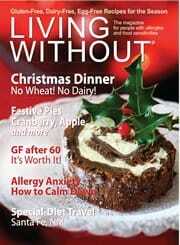 Living Without magazine ~ Living Without calls itself the magazine for people with allergies and food sensitivities. 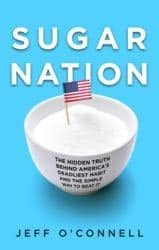 I’ve been subscribing to Living Without for years and I can personally attest that it is jam-packed with recipes that will work for multiple intolerances, the latest on studies related to celiac disease and other food-related or food-mediated conditions, advice on handling social situations, tips on living gluten free and more frugally, book reviews, and much more. I’d like to thank the folks at Living Without’s Belvoir Media Group for not only donating two subscriptions to our holiday event, but also for sending me 65 copies of their gorgeous holiday issue for handing out at my support group’s 7th Annual Open House event last month and our holiday meeting last week! In addition to Living Without’s website, you’ll want to check out their blog (including this post on kicking off your holiday baking) and their Facebook page! Remember that every entry also gives you another entry into the final giveaway of Caveman Cookies ($89 value), Free From Gluten ($150 shopping spree), and Vitamix 5200 Super Health Lifestyle Package including grains container ($550 value). Plus, I’ll be giving away additional prizes from time to time—choosing from all the entries for the entire event–like a 5-lb bag of Honeyville Almond Flour late tonight, December 11th. Don’t miss a recipe or an opportunity … you can see the complete, always updated line-up here! But I’ll go ahead and tell you who’s on deck for tomorrow … the lovely Iris of The Daily Dietribe. Thanks so much, Shirley! I had so much fun with the event. And Living Without is such a great mag, isn’t it? 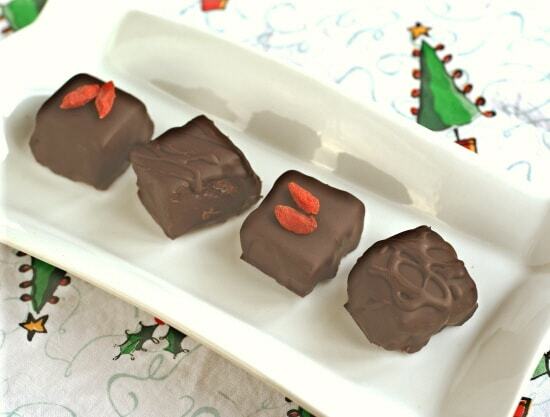 Hi Ricki–My pleasure and thank you for those stunning truffles and such a delightful tale to go with them! I think we could all visualize the pictures you painted. 🙂 Both of your giveaway prizes are great ones, but Living Without magazine will be a joy for two folks to received throughout the year! This sounds great, thanks for all the great ideas and recipes. The truffles look great and the Living Without Mag looks like it would be very nice to have. Hi Heather–I’m still playing catch up on comments. I agree that Ricki’s truffles look wonderful! 🙂 FYI–I’ll be annoucing the winners of the subscription soon. 😉 But Living Without is a great magazine to subscribe to, even if you don’t win it.